I am originally from Colombia, a Maryland and DC attorney, reader, and writer. I love to cook, garden, ride my bike…I’ve been a Spanish teacher, a bartender, and have a passion for travel and scuba diving. Thanks for checking out and liking my recent post “How I Got Wonderfully Lost”. I look forward to perusing your blog when my poor eye stops twitching (it’s time for this mommy to sleep, since the kids don’t yet have the same appreciation for “sleeping in” on Saturdays!). Keep writing! Thanks! 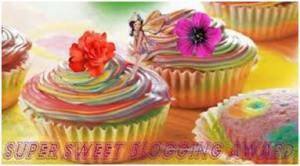 I really enjoyed looking around your blog and will come back for more! I hope your eye feels better- usually catching up on sleep helps, but as a mommy, I’m sure catching up on sleep isn’t a realistic option. Love your blog! Hello! Thank you for liking my Blog! I look forward to reading yours as well. Thanks, Joel! Keep writing, I love the blog! Thanks for following my cycling blog, you have some good stuff here! Thanks! I like your cycling blog too! Same here! looking forward to reading more of your work- I really liked your post on 10 things about blogging, very insightful- and yes, sometimes I get likes and no hits! It’s weird, isn’t it? Anyway, here’s to being true. Hi, thanks for following my blog — now I discover you too. I already see we have a love for street art (e.g. those Philly murals) and decorated bicycles (Happy Bike) in common, and I know there’ll be more. You have a very interesting and eclectic site. Thanks for sharing. Thank you so much! I’m psyched! – and flattered! YAY! Thank you! I finally accepted the nomination you sent back in December. Here’s the post: http://wp.me/p1w5ra-H8. YAY! 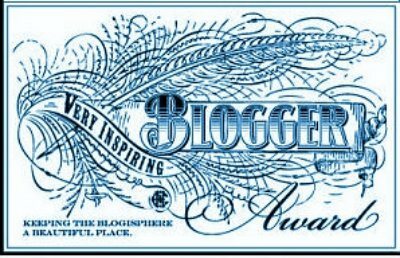 Congratulations again- I love your blog! Very interesting blog! I, too, am an attorney. It’s good to see that you are tapping into your creative side! What an interesting person! And interestingly, I have many of the same interests + time spent as a lawyer. I’m looking forward to learning more Spanish. WOW! I just read your bio page and we do have a lot in common. Growing up in Colombia, my family had a huge farm in the middle of the jungle, where my dad started one of Colombia’s first animal sanctuaries and natural reserves. We would spend our summer and Christmas vacations there, picking wild fruit and living a pretty rural, close to earth life… your post made me remember all of that! thanks so much… I will be back to read more- I’m following now! Nice things you got here. I like a couple of stuff. Well, thanks for being here. Have a great day. Thank you! hope you’ll be back! Sure girl. To bad you don’t know my language. I have just 10-20 posts in english. See ya’. I’ll check out your english posts! Thank you very much for the information. Now it hits me. Well please tell me how can i do that? The steps please, because i am stupid today. No problem! go to the website, click on the “get your button” button. Select the language and you will get a text box with HTML code. Copy that and in wordpress, go to “widgets” select the “text” widget and drag it to your side bar (or wherever you want it). Paste the HTML code into the text box, hit save and your are ready to rock and roll! I’ll have to hug you for that. But not right now. Ok girl, thanks again, for everything. YAY! Thanks so much, Kim! Super Sweet! I’ll get a post up ASAP! Thanks again, girl! Thanks for checking out my blog and my recent Veggie Burgers! I hope you find these easy to recreate for yourself as well with your favorite ingredients! Really?! Thank you so much! I am honored! I’ll get working on a post ASAP and THANK YOU! Gracias, Sesana! 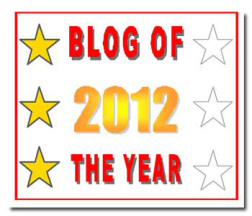 Me gusta mucho tu blog!